You buy the official key, which you receive immediately after payment in the opened window, as well as a link to the page with the key that will come to your E-Mail specified when purchasing. Every buyer who left a positive feedback (I want a gift) - gets one of more than 40 different games for Steam. Which one? You will find out about it when you receive your GIFT. It can be activated in "Steam". 2) Leave a positive feedback with the comment "I want a gift"
Dispatch of the gift is done within 48 hours after writing a comment. Attention!! Making a review - you guarantee that you read all the conditions for the Gift and if something is not clear - they asked. For the positive feedback about the product, I will give the buyer a gift certificate in the amount of 5 rubles. Each buyer will receive a promo code, he gives an excellent discount to all our pre-orders! PLAYERUNKNOWN´S BATTLEGROUNDS is a shooter in which the last survivor wins. Starting the game with nothing, you have to get weapons and supplies to fight for the first place and become the last hero. The intense battle in this realistic game takes place on the huge 8x8 kilometer post-Soviet Black Sea island of Erangel. PLAYERUNKNOWN´S BATTLEGROUNDS is developed on Unreal Engine 4 with constant help and support from our players. 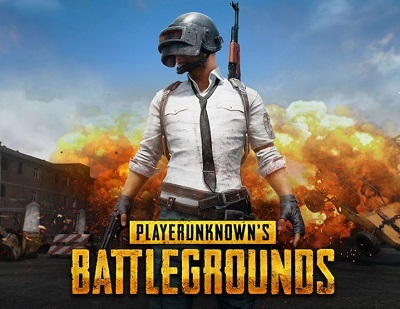 PLAYERUNKNOWN, also known as Brendan Green, is a pioneer of the Battle Royale genre. As the creator of the game mode Battle Royale in the series ARMA and H1Z1: King of the Kill, Green is developing a game with a team of veterans in Bluehole to create the most diverse and explosive version of Battle Royale to date. It´s not just a game. This is the Royal Battle! This product is distributed through digital distribution, is only a pin code, and does not contain packages and boxes. 1. Download and install Steam http://steampowered.com/download/SteamInstall.msi to register the account on Steam. 3. Download and after the full installation run and play. IMPORTANT: After activating the serial key in steam, the key becomes invalid, i.e. You can not use it again. MUST remember, but better write down all the details of your account! Without them, you will not be able to access the activated games in the future. We will be very grateful to the positive response! От души, душевно, ради бога. Дешевле пубг не нашел, продавец просто пушечный!